Did you know that Revelstoke owes its very existence to a British aristocrat? Not sure if he was a skier, but Edward Charles Baring, the first Baron Revelstoke saved the Canadian Pacific Railway – and thereby the town of Revelstoke - from ruin by buying up the bonds to ensure completion of the train tracks back in 1885. 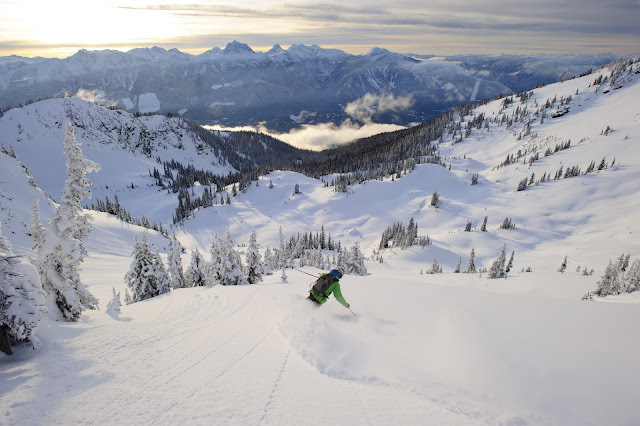 Morph to today and Revelstoke Mountain Resort, which tops the chart in North America for vertical drop and longest run, was recently voted Canada's Best Ski Resort at the World Ski Awards in Austria. A huge accolade considering it is Canada’s newest ski resort, dating back only to 2007 when the Revelation Gondola and Stoke Chairlift launched its transformation from a heli haven into today’s world-class ski resort. Winning this annual award depends on online votes from a mix of ski industry professionals, tour operators, and media as well as the skiing and snowboarding public. Chris Pawlitsky (right) with me (left) at the base of the Revelation Gondola. For four fabulous days back in December I skied Revy and had the good luck to hook up with Ski Ambassador, Chris Pawlitsky, a veritable fount of information, tactical terrain tips and general bonhomie. After breakfast at La Baguette in the Village (gluten free goodies and great coffee), Chris showed me round some of his go-to runs including Separate Reality: “Easily my fave run, Separate Reality has so many different lines, it’s close to the chair which means a quick turnaround time for banging off big daily vertical,” he says. 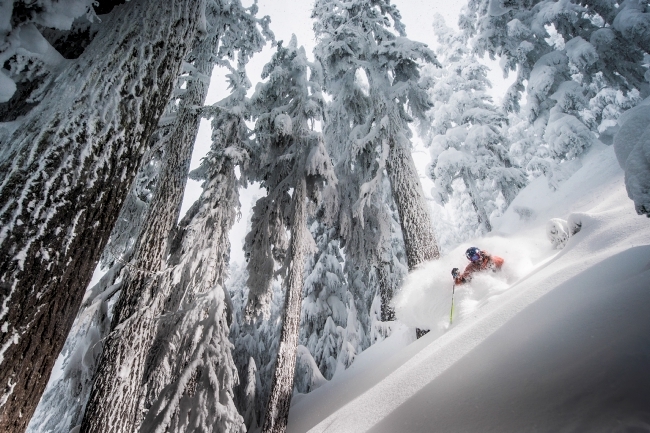 “One reason the skiing is so fun here is that each run has so many different lines. For example, Separate Reality has at least seven different lines that make each one seem like its own trail.” This area is particularly gratifying in early season as it always has substantial snow. From the Ripper Chairlift, the tree skiing was particularly memorable, especially in the Glades of Glory. Chris took me on a minor hike, just a few paces off the main path, leading to a lesser-known area which was still only semi-tracked several days after a snowfall. In Revy’s gnarly North Bowl – the nearest thing to cat or heli skiing you’ll get from a chairlift-accessed traverse and short hike – Chris’s classic pick is Sweet Spot to Three Bears. “Being in the heli ski capital of the world is one reason that makes it so great here - snow everywhere, deep and consistent snowfalls,” he explains. Apparently the snow keeps fresh due to what is known locally as the ‘Mount Mackenzie Blob’, cloud cover which helps keeps the sun off the mountain when temperatures warm up occasionally. 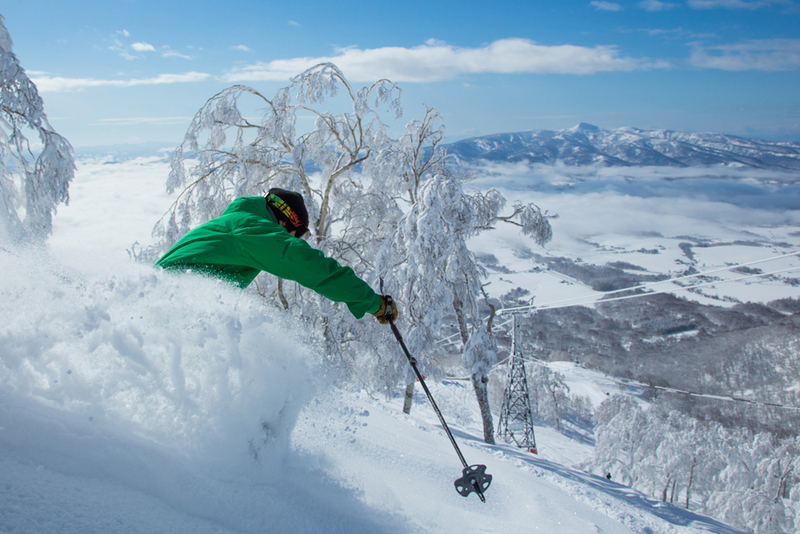 “This keeps the powder fresh, it’s like skiing in your own little cloud,” Chris describes. “Every peak in the area can be visible, but the top of the ski hill sometimes gets a little fog which really helps protect the snow from getting sun crusted.” As most of the resort is below the treeline, there are plenty of visual markers to help visibility during these cloudy conditions. We skied hard that day but it wasn’t all radical and rugged. Next on Chris’s list was Hot Sauce, a great south-facing, long run which is often groomed. He also took me to Snow Rodeo which is perfect for intermediates (and for 50-something skiers with early season legs and lungs!) Especially in spring, Snow Rodeo is in full sun the whole way down. “This is also where I would take someone for their first run back to the Stoke Chair,” says Chris. 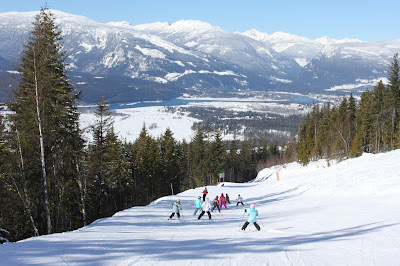 “A nice blue run, with lots of rollers, and usually soft snow on the sides. A classic, for sure, and the very first run on Mount Mackenzie going back to the original cat skiing days.” Back then, informal races were staged and the winners were always those who chose the route that is now Snow Rodeo. Everyone needs poseur pictures to post on social media and Chris knows the best spots for these, too: “Right of the top of the Stoke Chair and looking south or directly west, beside the warming hut and tool benches is a great place to get a picture of the entire valley.” It’s a vivifying view with the soaring Selkirks bordering the Columbia River. After a full-on ski day with Chris, my leaden legs were particularly grateful for the luxury of staying right onhill at Sutton Place Hotel, Revy’s only ski in, ski out property. You literally walk a few paces from the bottom of the slopes into the back door of the 205-unit condominium hotel. 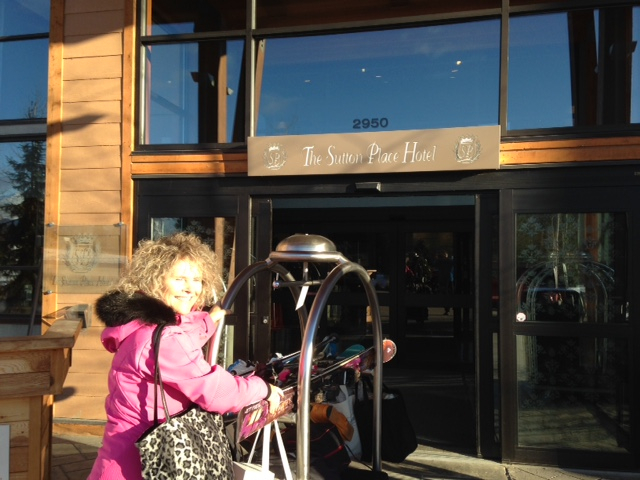 The ski locker room is right near the elevator which then whisks you up to utter luxury in your spacious apartment. These are so modern, so comfortable and so fully equipped that lucky people live here year round. I know, I met some of them at the nightly cocktail parties in the hotel lobby where complimentary drinks and hors d’oeuvres are served by the fireside. This is a fabulous way to mix and mingle with likeminded ‘Revelers’ and get the latest info on ski conditions, après ski, and the opulent onslope lifestyle. And you can bump into those you met earlier in the steamy hot tub which overlooks the mountains of the colossal Columbia River Valley. Sutton Place also has a big heated year-round pool and two more hot tubs in another of its three buildings which make up the Village. These also house the après ski options, chief of which to my mind is the Rockford Wok Bar Grill which is a culinary cut above conventional ski resort après ski bars. 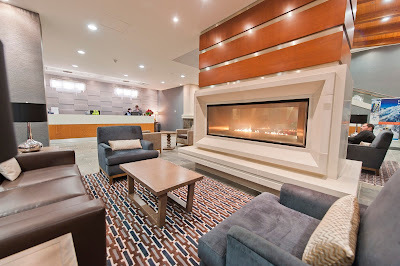 With upscale décor, top service quality, and gourmet menu, it accommodates all nutritional nuances from breakfast buffet, through lunch, après ski, cocktails and decadent dinners. Although it is classy looking, you can still feel at home in ski gear – although I personally like the opportunity to dress up a bit later in the evening after all day in scuzzy ski togs. Rocking Revy's rugged runs: “The 93 North Andromeda is a great ski for Revelstoke," says ski designer, Max Flowerday. 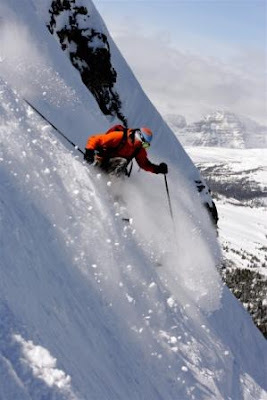 "The early rise rocker tip will keep you on-top in deep powder while the camber makes them very responsive and playful for gladed terrain.” Max co-owns 93 North Skis, based in Canmore, and gets out to Revelstoke as often as he can. "My favorite run is 'Conifers of Gnarnia' but it is only good when there is fresh snow down to valley bottom," he says. Other tips include eating at The Village Idiot, going to the Modern Café for coffee and hanging out at the hot tub at the Rec Centre. 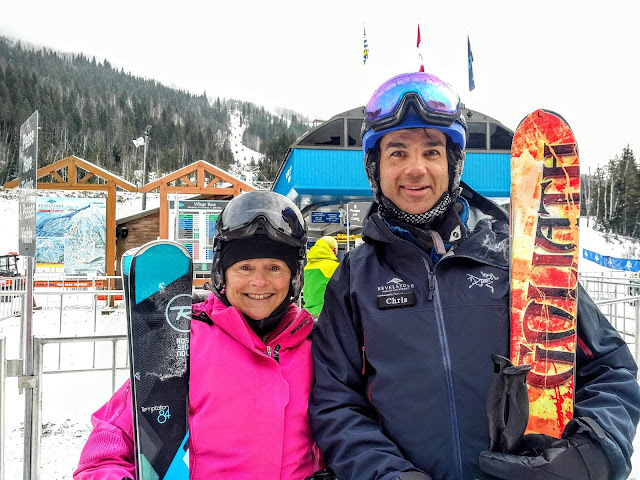 93 North Skis - which is holding powder and backcountry ski demos at Revelstoke, Lake Louise, Red Mountain and Whistler Blackcomb - is brand new this winter so look out for an article later this season. Celebrity endorsement is a powerful thing for any business. So it doesn’t hurt that Hollywood heroes like Alec Baldwin, Susan Sarandon and Pierce Brosnan love Sunshine Village. They first patronized its pistes during regular annual visits for Celebrity Ski, a fundraiser for Robert Kennedy Jr’s Waterkeeper Alliance (http://waterkeeper.org/) which saw them all skiing, snowboarding, snowshoeing and taking part in riotous race events. 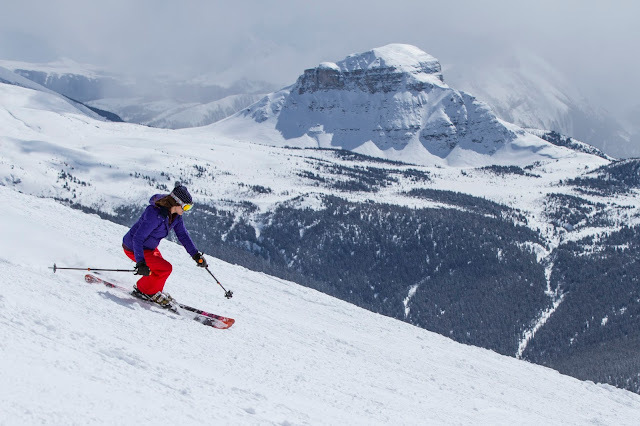 Once skied, never forgotten, Sunshine Village holds a lifelong allure for everyone. Maybe it’s the hero snow which is so soft and sifted that it makes everyone ski like a star, or maybe it’s the magical mountainscape untouched by the travesties of modern development. Being situated in Banff National Park gives the added bonus of strict environmental guidelines limiting growth. And staying at Sunshine Mountain Lodge, 7200 feet high, is an inimitable immersion into the resultant remote elements of this eco-resort. Going on in the area right now is Banff Snow Days (Jan 13-Feb 5), a winter festival featuring action-packed activities as well as entertaining and educational events around Banff National Park. This is a great time to visit with accommodation packages and prices lower than in the peak periods. For example there are 45 percent discounts at the opulent Fairmont Banff Springs with their SnowDays package. The Banff Winter Package at The Juniper comes with a bonus $25 dining voucher for the Bistro and two passes to the Banff Upper Hot Springs. A key component to Snow Days is Banff’s Big Taste, a culinary festival from Jan 18-22 which focuses on sip and savour tastings, a chef’s dinner, a wild small plate competition and spirit seminars. Back to the actual skiing: the word ‘Sunshine’, by the way, is a bit of a misnomer since Sunshine Village is famous for relentless snow rather than balmy beams. I skied there on many occasions over my month-long Alberta and BC trip this Dec/Jan and I got mostly snow days. Not complaining, though, as there is nothing better than light, dry Continental Divide dumps with powder piling up in the glades and proliferating the pistes. And, of course, whenever I started to feel the cold, I would hop on the Teepee Town LX for the cozy coddling of Canada’s first Orange Bubble Chairlift! I did wonder when this first opened if it might ruin the peace and quiet of the daunting double blacks under the less popular old lift, but Sunshine does a great job of grooming the less radical runs which also serve the new lift, spreading the people out. Delirium Dive is Sunshine's off-piste paradise with over 600 acres of expert-only terrain, its pitch averaging 40 degrees and in places exceeding 50. I've skied it a couple of times, taking the wimpish entrance via a metal staircase rather than leaping off the cornice. Intimidating but gratifying! As well as having extensive expert terrain, Sunshine Village is a playground of potential for newbies to both skiing and riding. The Ski & Snowboard School has an international line-up with 95 instructors from Canada, UK, Germany, Australia, Japan, Panama, Denmark, Sweden and Switzerland, catering for many different ethnicities in terms of linguistic skills. 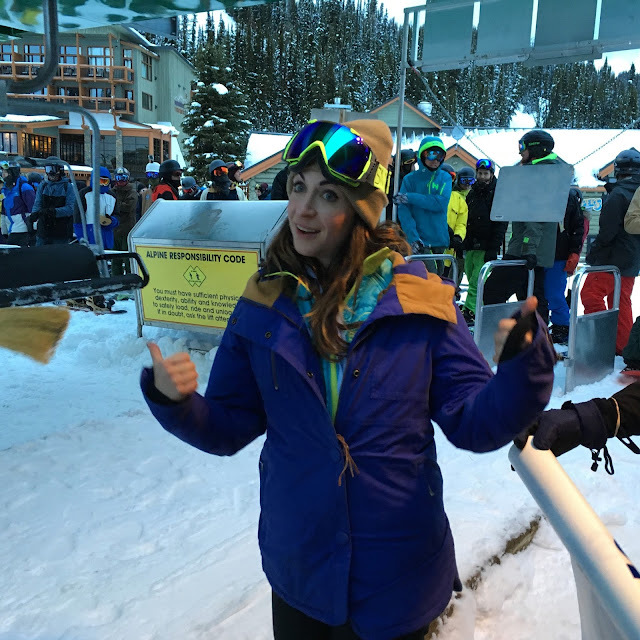 When it comes to learning something as demanding and technical as skiing or riding “language can be a huge barrier,” says Kendra Scurfield, daughter of CEO and President Ralph Scurfield. “So we are hiring people in the ski school and the hotel with more languages and also looking specifically for Mandarin, Spanish and Portuguese speakers. We’ve reached out to the University of Calgary and different ESL programs to attract people to our ski instructor courses.” Kendra, who is Media Manager for Sunshine, recently graduated with an MBA from the University of Calgary's Haskayne School of Business where Scurfield Hall is named after her late grandfather who donated $8million to have it built. Snowboarding enthusiast Kendra is also host of Shredlines, Sunshine’s popular video series. Weekly episodes include tips, tuition and newsy tidbits, responding to what is trending and in demand on social media. Check it out every Thursday on YouTube and also on Sunshine’s Facebook page (https://www.facebook.com/SunshineVillageResort). And you can follow on Twitter at: https://twitter.com/hashtag/shredlines. A fun way to get to know the secrets of Sunshine is to take the 3 Mountain Guided Experience with SkiBig3. 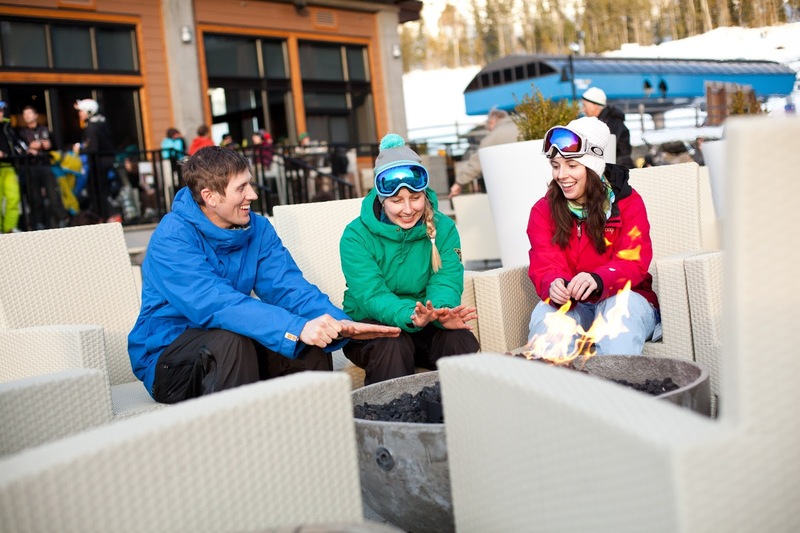 This includes sister resorts Lake Louise and Mt Norquay, with a choice of a three-day group program or a private set-up. The same local Snow-Pro takes skiers and riders to each of the three resorts, giving insider insight to the slopes, best snow, vantage-point views and restaurants. Check out my own experiences with this progressive program at: https://www.skibig3.com/blog/camaraderie-and-coaching-with-club-ski/. Over the past 20 years, the Chinese have become increasing fascinated by skiing which is quickly ousting golf as the favored sport of top earners. During - and after - its successful bid for the 2022 Winter Olympics, Beijing hoped to establish China among the world’s top winter sport countries. As part of the bidding procedure, the International Olympic Committee carried out a five-day inspection of Beijing which was slated for the skating sports. 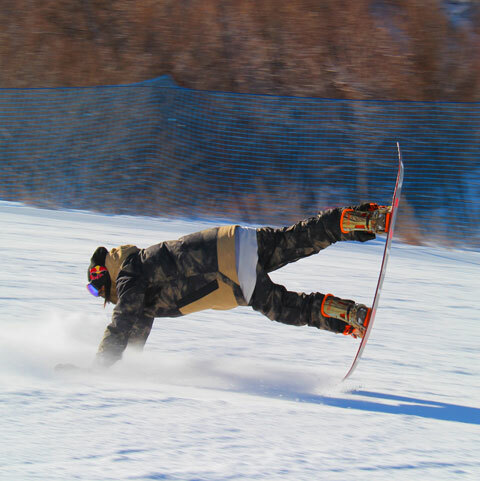 They also checked out the Nordic skiing potential in the county of Chongli – located in the mountains near the Great Wall - as well as Genting Resort, China’s largest ski resort, which would host the snowboarding and freestyle events. 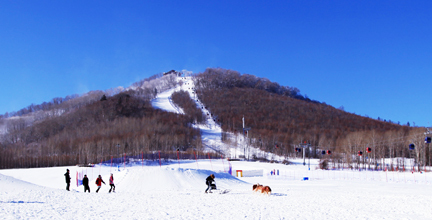 Also on the itinerary was the ski resort at Yanqing where bobsled, skeleton, luge and other Alpine events were planned. Just before the IOC arrived, billboards were erected along the route, depicting skiers and snowboarders “Sharing the China Dream”. With such a huge population spread over a massive variety of terrain, relatively few Chinese had ever been to the ski resorts let alone put on skis or a snowboard. The 2012 China Ski Study, Desk Research Report produced by the Canadian Tourism Commission (CTC) - now re-named Destination Canada - claimed that there were 70 ski resorts in China by 2012, a leap from just three in 1980. “Older resorts are upgrading their facilities while new resorts appear on the scene every year,” the report stated. “In China, skiing is a luxury trend driven by beginners with money to spend.” Because of the predominant number of newbies to winter sports, equipment rental statistics that year were high, estimated at around 90 per cent of visitors, it said. And, along with shopping, dining and sightseeing, skiing was gaining popularity as a family activity. 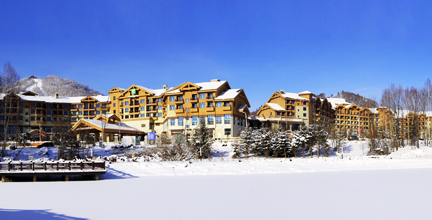 Already business conferences are being located at ski resorts in China. The China Entrepreneurs' Conference, for example, is held at Yabuli in northeastern Heilongjiang province, bringing together over 700 businessmen in 2012. Ski & Style – dubbed China’s Ultimate Winter Lifestyle Show - is an industry trade show, run by China Rendez Vous and sponsored by the Beijing Park Hyatt. It has been held annually since 2014 in Beijing in November and also at the Park Hyatt in Changbaishan ski area in January. Booths are run by companies such as the luxury skiwear brand, Bogner as well as national tourism authorities from Switzerland, Iceland and around the world. The Changbaishan event includes skiing, dogsledding, moto skis, sledging, horse-carriage rides, themed nights and an ice sculpture exhibition. 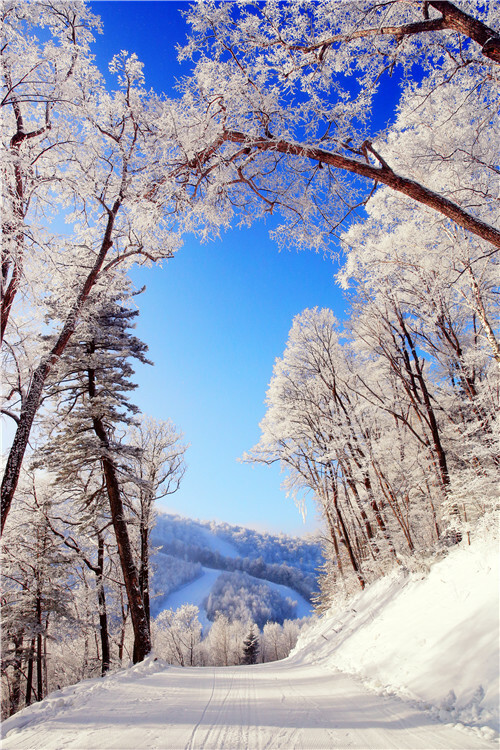 Winter 2014-2015 was the best season on record for Chinese ski resorts. 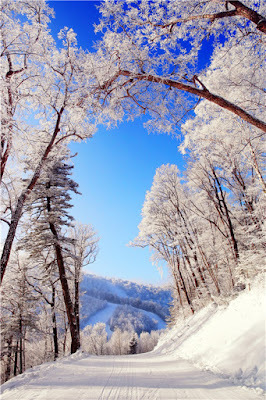 “Attendance at Wanda Changbaishan Resort in northern Jilin province jumped to 240,000 this year from 150,000 last year for the season. 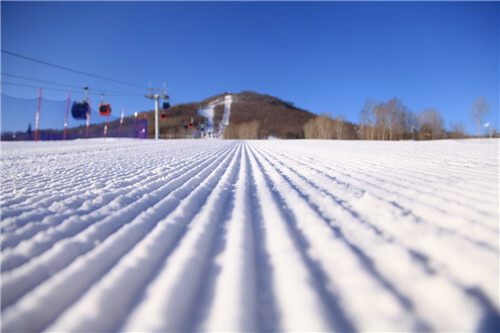 During the peak Lunar New Year holiday week, demand was so high that ski rentals were limited to only half a day so others could have a chance to rent the gear,” said journalist, Wei Gu in an article for the Wall Street Journal. 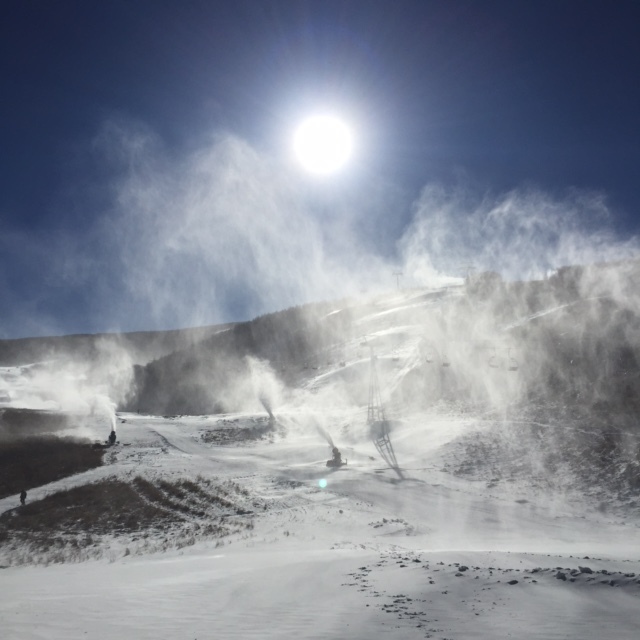 Although all surveys are agreed that Chinese ski participation is on the rise, there is considerable confusion as to the exact numbers involved. According to statistics from the China Ski Association around 10 million Chinese, one per cent of the population, skied by 2015. The luxury-retail website Jing Daily claimed 20 million. Rapid growth in the Chinese ski industry was documented in the 2012 CTC Study, which reported an increase from 10,000 skiers in 1996 to “around a reported five million” in 2010. Whichever figure is correct, what is certain is that numbers are increasing. And officials hoped that the media spotlight from the Winter Olympics bid could encourage many more to get out on to the slopes. 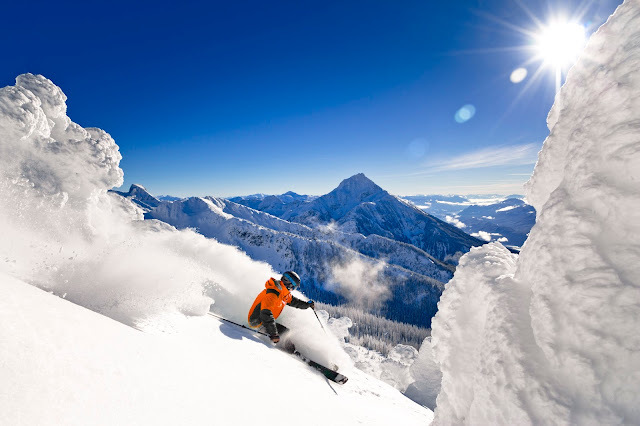 The CTC report also points out that “China is the third largest outbound tourist market in the world, and it is still growing.” The CTC thinks that Canada is well-positioned to take advantage of the growth in Chinese ski tourism due to high awareness created by the Vancouver Olympics as well as targeted marketing efforts emanating from Canadian resorts. 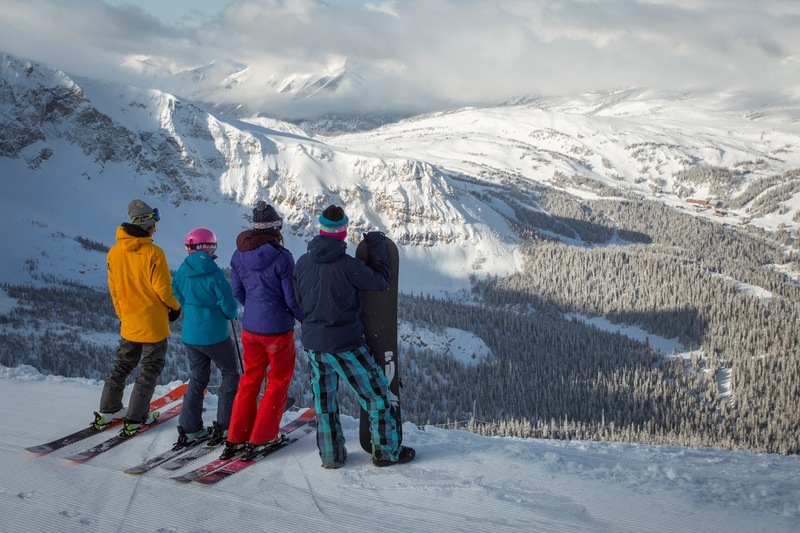 “It is also essential for those marketing Canada’s ski destinations to recognize that Chinese tourists see skiing/snowboarding as a potential vacation activity, but are unlikely to plan an entire vacation around skiing/snowboarding. 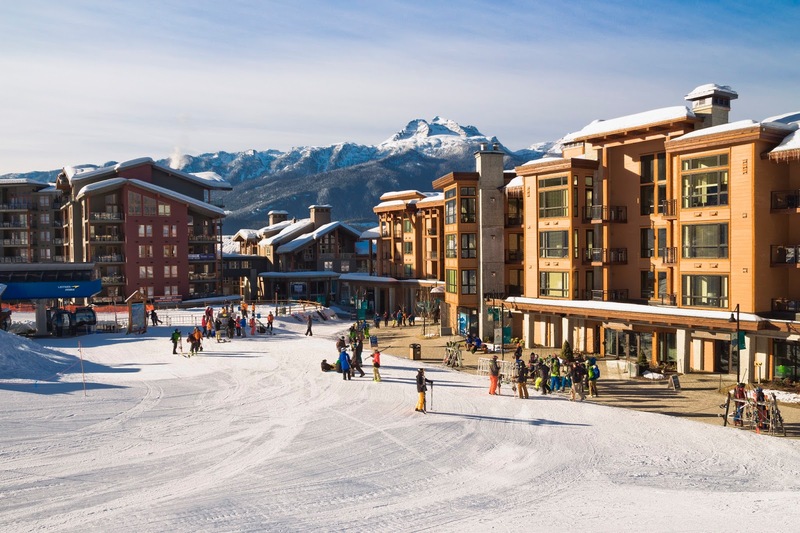 At this point in time the best way to bring these travellers to Canadian slopes is to include skiing/snowboarding outings in vacation packages with other activities,” it recommends. The growing trend in sport tourism from China has been noted in Aspen Snowmass, too, where Chinese skier numbers have doubled. The Aspen Skiing Company went to Hong Kong recently, bringing a skiing simulator which mimics downhill delights in an attempt to encourage participation. 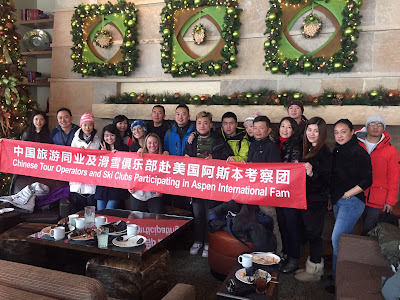 Sonia Bekhaazi, Sales & Marketing Manager for Aspen Skiing Company, has been engaged in relationship building both in China and during home resort FAM trips with ski-focused tour operators. "All of the business that takes place in China is a result of relationship building," says Bekhaazi. "Our core relationships are what fuel opportunities, contacts etc. Relationships also lend you credibility as a brand. We have established partnerships with very select businesses that help us to access a specific target market of skiers who travel internationally." 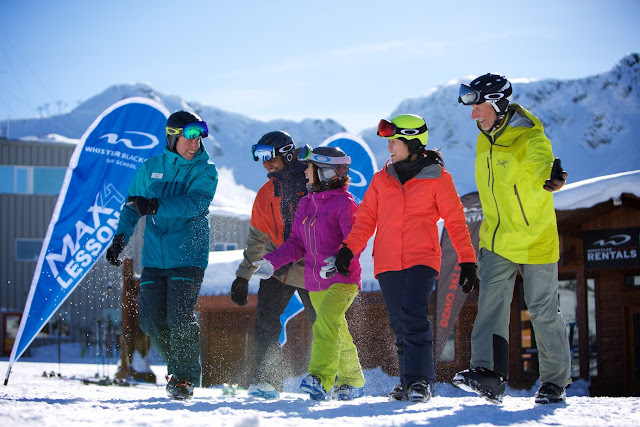 Aspen Snowmass's strategies focus on high touch events including VIP on hill and dry slope clinics with top instructors. And brand awareness is at the forefront of all these activities. "We actively seek promotional opportunities in traditional and social media channels," she explains. "Our current following on Weibo boasts 56,000 and is growing at a rapid pace. At the same time, we also have a heavy focus on building booking channels and connections in country that enable guests to make reservations." One of Aspen Skiing Company's aims is to engage more Chinese speaking instructors. "Currently we are looking at a small number but aim to grow this in the next few years," says Bekhaazi. "A natural product of our sales missions in country help to establish relationships between our hiring staff and Chinese nationals. In short, our sales missions to China encourage the opportunity to work with talented bilingual instructors." Bekhaazi, who is in the process of learning Chinese herself, says the resort is planning a Chinese language resort guide. Several restaurants and hotels already offer authentic Chinese menu items, and some provide a Chinese welcome letter for guests upon check-in, as well as kettles and tea packages. "Of course, I would always encourage more community participation which I anticipate will evolve over time," she adds. For more on the origins of skiing in China and an overview of China's contemporary ski-sphere, check out Jordan Manley's evocative film: https://vimeo.com/175629655.